Maria Lucas is quite resigned to never marrying, but when a new family comes to live at Netherfield Park, she suddenly finds herself with not one suitor, but two. 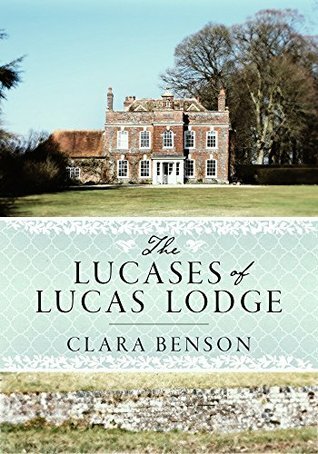 As a friend schemes against her and misunderstandings abound, can Maria avoid the unwelcome advances of the man all Meryton expects her to marry, and win the heart of the man she truly loves? NB: If you’re looking for an Elizabeth and Darcy fix, keep looking, because you won’t find it here! There are no Bennets in this book. Maria obeyed without question, but when she returned to the drawing-room, she found only Mr. Thripp there. ‘Where is Mamma?’ she said. There followed a short silence, for Mr. Thripp, while not usually uncertain of himself, was unaccustomed to courtship, and was reflecting on how best to proceed so as to be sure of attaining his object. He soon remembered that he was supposed to be admiring Maria’s needle-work. Here he paused to congratulate himself inwardly on having begun so well, for he recalled having heard that to pay compliments was the surest way to win a woman’s heart. Maria wished to reply, but knew not how, for his raptures seemed to her to be so out of proportion to what was required, that she wondered whether he was making fun of her. He seemed serious enough, however. Might he, then, be in drink? He had certainly partaken of the wine at dinner with great eagerness. Maria glanced at the door involuntarily and hoped her mother might return soon.